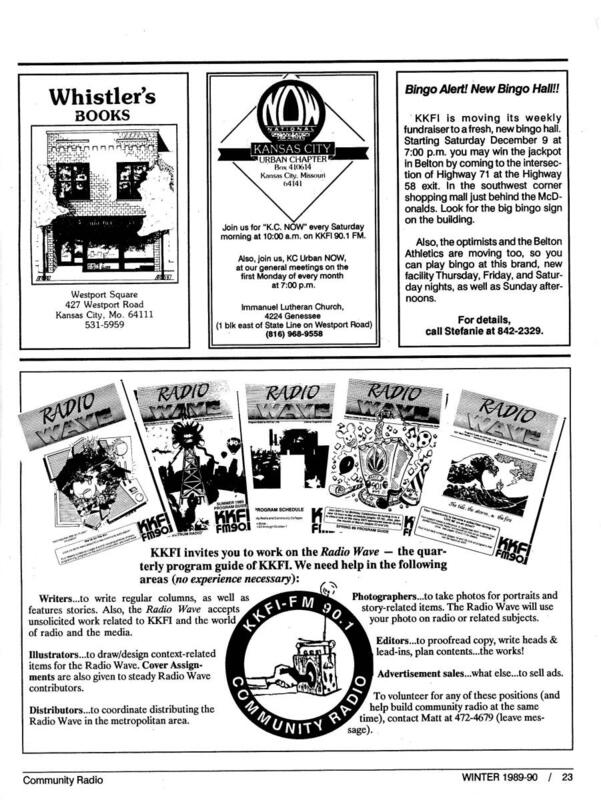 An article published in eKC@ about continuing problems with KKFI’s current management showed concern for the station’s continued existence. 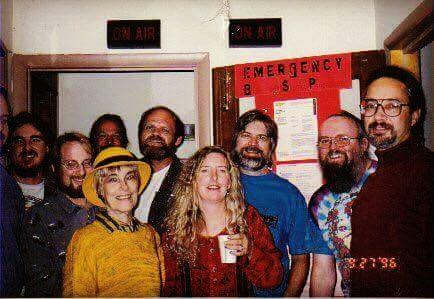 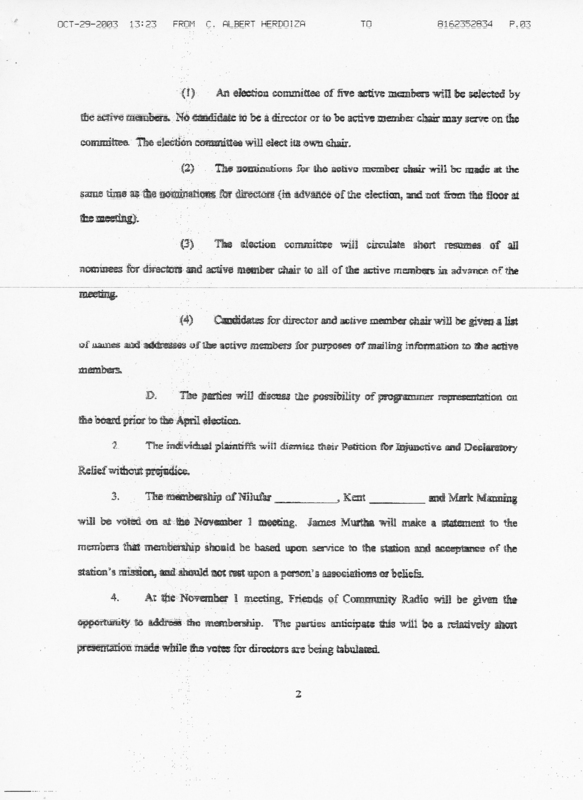 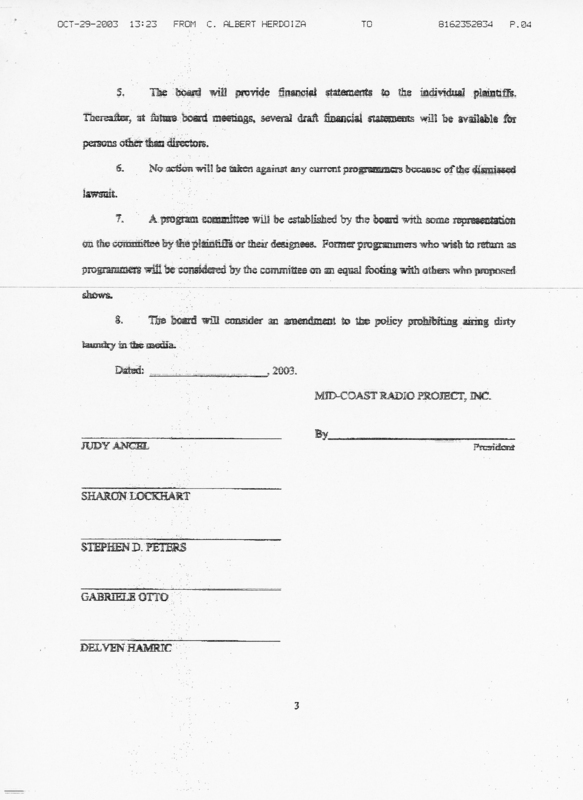 In 2002, Friends of Community Radio had taken action in court with a second lawsuit to return the station to volunteer control. 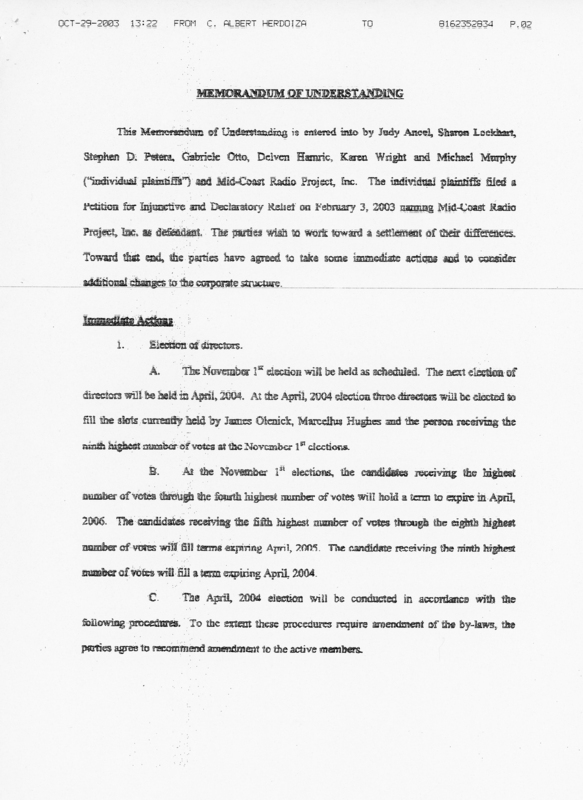 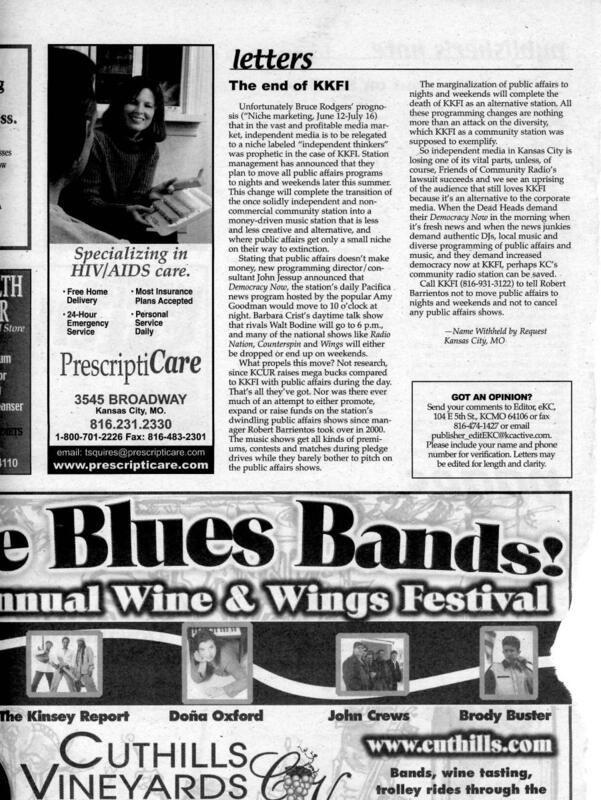 This March 24th, 2003 news release explains it. 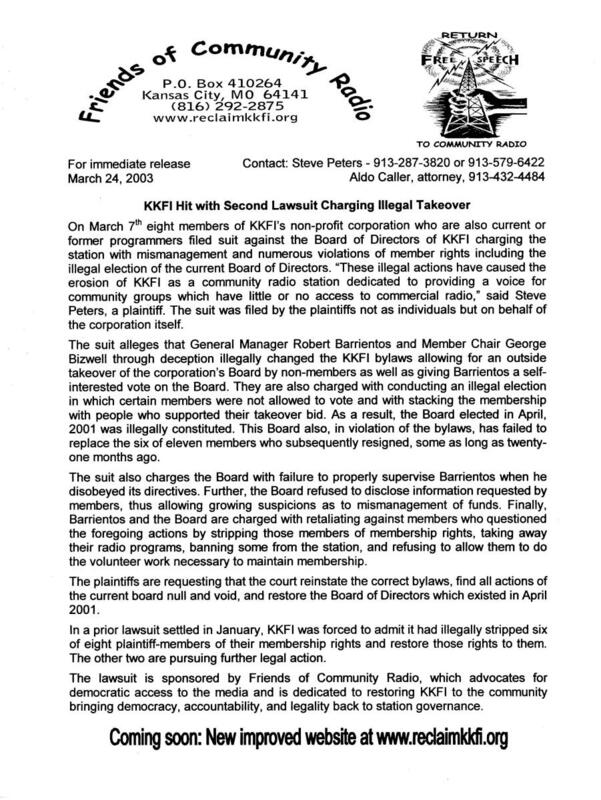 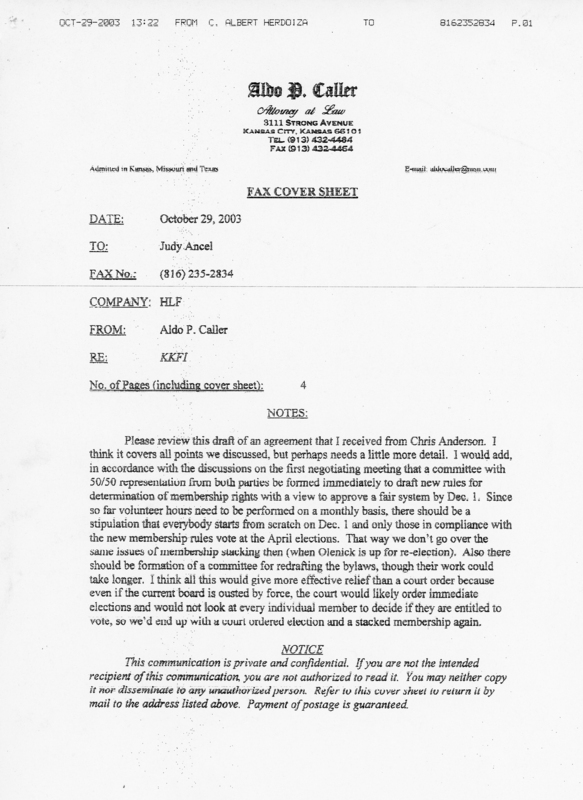 Through the lawyers representing Friends of Community Media – Robin Martinez, and Aldo Caller, a settlement proposal was given to the current KKFI management. 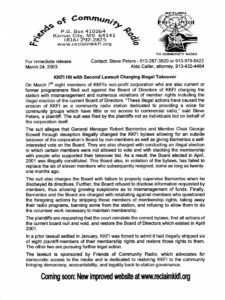 After over two years of drama, turmoil, and strife, it was finally announced by the current board president, Chuck Tackett, that Robert Barrientos would resign on September 3rd (after taking a buy-out).